Financial burdens do not discriminate so, no matter what age you are, NBC 5 wants to help you get on track. Remember that time is on your side and you don't want to take it for granted. 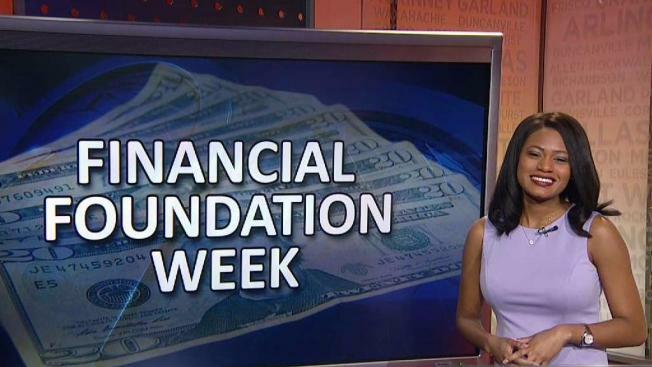 Financial experts say millennials should invest aggressively. They typically don't have as much responsibility as someone in their 40s and don't have as many people relying on them for financial support. Now is a great time to start putting money into your 401k. If you wait until your 30s, you could be losing out on hundreds of thousands of dollars. So even if money is tight, always try to make this a priority. If you were born in the mid-60s to early-80s and your finances aren't in order, we have some work to do. One of the hardest things to avoid is the lifestyle creep, when you get a pay raise and you increase your lifestyle. Here's how to avoid that. If you get a $200 a month raise, take $50 of that money to reward yourself. The rest of it should be used to pay off debt or put toward your retirement fund. We want to make sure you're all set for that next phase of life, whether you're continuing to work or preparing for retirement. Track your monthly spending. This will give you a rough idea of how much income you'll need for the next phase. And don't cut yourself short. It's better for your savings to outlive you than the other way around. Also, consider outside circumstances like aging parents or adult children. The earlier you can have conversations about who will need your help, the better off you'll be.